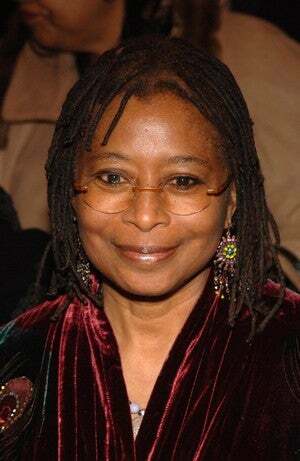 Alice Walker To Obama: "Cultivate Happiness In Your Own Life"
On the eve of his inauguration, Alice Walker offered soon-President Obama some advice — and it wasn't about the economy. I would advise you to remember that you did not create the disaster that the world is experiencing, and you alone are not responsible for bringing the world back to balance. A primary responsibility that you do have, however, is to cultivate happiness in your own life. To make a schedule that permits sufficient time of rest and play with your gorgeous wife and lovely daughters. Not to mention your brave and precious grandmother. * And so on. One gathers that your family is large. We are used to seeing men in the White House become juiceless and as white-haired as the building; we notice their wives and children looking strained and stressed. They soon have smiles so lacking in joy that they remind us of scissors. This is no way to lead. Nor does your family deserve this fate. One way of thinking about all this is: it is so bad now that there is no excuse not to relax. From your happy, relaxed state, you can model real success, which is only what so many people in the world really want. They may buy endless cars and houses and furs and gobble up all the attention and space they can manage, but this is because it is not clear to them yet that success is truly an inside job. That it is within the reach of almost everyone.